MTN’s R30-billion investment into its network over the past three years is paying off, with its network outperforming that of its main rival Vodacom over the last two quarters. MyBroadband Insight’s latest speed test quality report shows that MTN had the best network in South Africa in Q1 2018. Research by P3 Communications, which conducted tests in South Africa between 17 January and 17 February 2018, also showed that MTN had the best network. In recent years, Vodacom has relied on comparative speed test results from platforms like Ookla and MyBroadband to make its “Best Network in South Africa” claims. However, with the tests now showing that MTN has the best network, Vodacom decided to change tactics. In its latest “SA’s Best Network” advertising, Vodacom relied on consumer satisfaction surveys from the South African Customer Satisfaction Index (SAcsi) to make its best-network claim. Vodacom’s use of a customer satisfaction survey, rather than technical network tests, for its “SA’s Best Network” claim did not sit well with MTN. 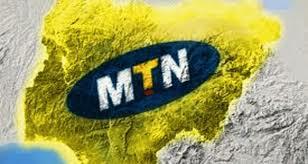 A bruising battle at the Advertising Standards Authority of South Africa (ASA) followed, which MTN recently won. The ASA ruled last week that Vodacom’s claim it was South Africa’s best network for three years in a row was misleading, and must be retracted. MTN did not waste any time to rub Vodacom’s nose in their victory, and published a full-page advertisement in the Sunday papers to celebrate. The ad states that “There’s no debating SA’s Best Network*”, with the asterisk pointing to its recent network test wins. *Based on P3 Benchmark Report 2018 & MyBroadband Reports Q4 (2017) and Q1 (2018). The ASA has ruled that Vodacom must remove ‘Best Network for 3 years in a row’ from all messaging (06/2018).